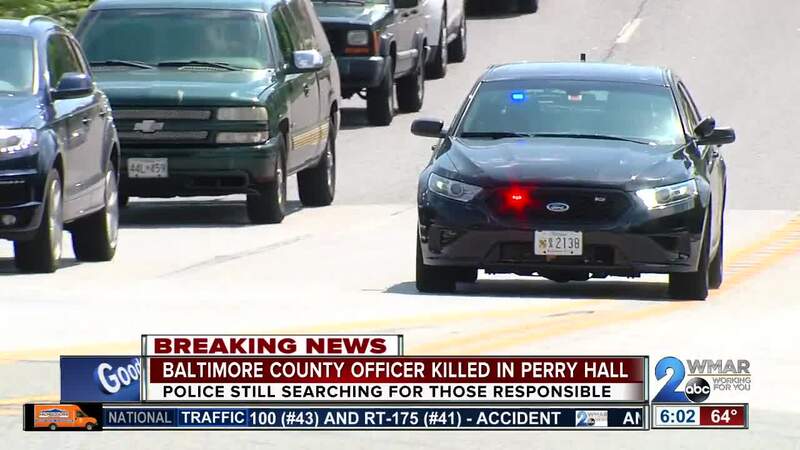 A Baltimore County Police officer was killed in the line of duty in Perry Hall Monday afternoon. According to Baltimore County Police, around 2 p.m. they received a call for a suspicious vehicle in the unit-block of Linwen Way. According to charging documents, Officer Amy Caprio was run over by a Jeep Wrangler while teenagers were trying to burglarize homes in the Perry Hall area. Police say she suffered critical injuries and was later transported to Medstar Franklin Square Hospital where she was pronounced dead at 2:50 p.m.
Tuesday morning, police said that a 16-year-old boy was arrested shortly after the officer was killed. Later identified as Dawnta Harris by charging documents, he faces first-degree murder charges. The three other people he was with have also been arrested. The fallen officer was almost a four year veteran of the police force and was expecting an anniversary this July. 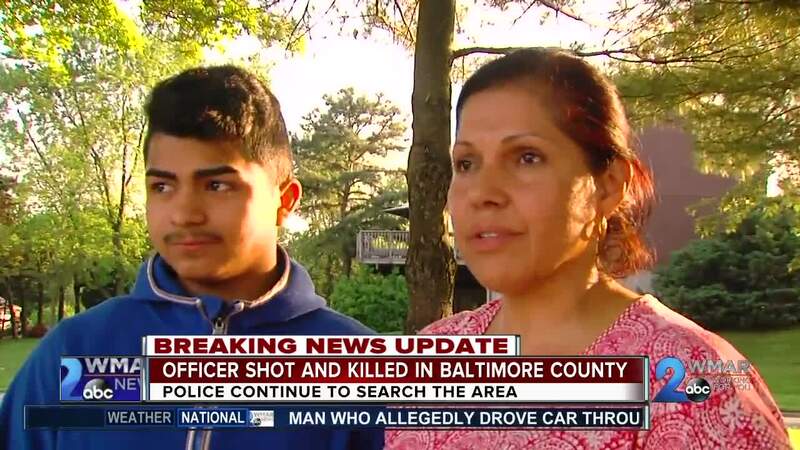 Baltimore County Police spokesperson Cpl. Shawn Vinson said during their investigation they were able to recover the suspect vehicle, a black Jeep, in the 9500 block of Dawnvale Road. "We can't confirm that the Jeep was involved in the injuries of the officer," said Cpl.Vinson. But charging documents indicate that the Jeep was the car that drove over Officer Caprio. This incident is being investigated as a homicide. During a press conference, Cpl. Shawn Vinson says detectives determined that there is a house on Linwen Way that has damage to a patio door. The damage indicated that it may have been a burglary in progress when the officer was called. Baltimore County Police Chief Terry Sheridan shared additional details at a press conference regarding the death of the officer. Officials told people who live in the area of Belair Road and Klausmeier Road to shelter in place Monday night while they were looking for the suspects. Other law enforcement agencies, as well as officials, are sending their thoughts and prayers for Baltimore County Police.